When Cloud Control began the move back to Sydney in 2013, they were in many ways different to the band that had left. In the preceding two years, they had toured their AMP-winning, ARIA-nominated first album Bliss Release to global acclaim, and recorded and released their second, Dream Cave, from their new home in the UK. But as they prepared to return to Australia at the end of a huge US tour, bassist Jeremy Kelshaw bowed out – and suddenly, for the first time in nine years, Cloud Control had to find balance as a three-piece: Alister Wright and Heidi and Ulrich Lenffer. They trio brought back with them a new resolve, borne out of a decade of experience: their next record would be made in their own time, on their own terms, and it would sound exactly the way they wanted it to. “I think we underestimated how long that would take,” Ulrich says, laughing. They expected nine to twelve months, tops. In the end it took three years. 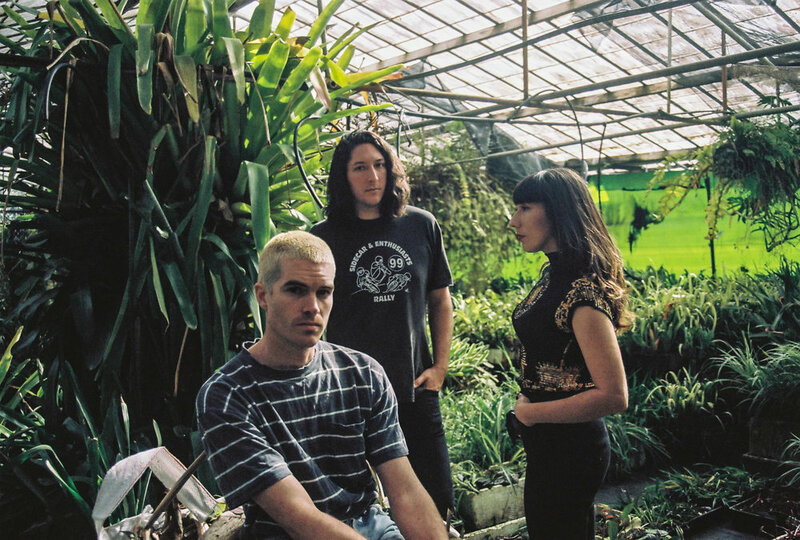 Cloud Control's first self-produced album, Zone, is well worth the wait: their most cohesive, complex and personal release to date, full of colour, space and undeniable tunes. Alister, who took the helm as producer, describes it as an accumulation – of sounds, experiments, ideas, experiences. In the time it took to make, the band accrued mountains of gear, hundreds of demos, and countless hours refining each track. There were setbacks of course – break-ins, break-ups, communication breakdowns – but through it all there was a sense of freedom and growth. “It feels like a personal triumph” Heidi says. The record is as much an homage to the psych-infused sound that Cloud Control has perfected as it is to their sense of humour, and their diasporic music tastes. Take the unassailable pop of Panopticon, for instance, with its Beegees bassline, its shoegaze guitars, its hip hop beat and Heidi's lyrics – which tell of a surveillance state to which we've become complacent. Or the ebullient, driving lead single Rainbow City, jammed out at a writers' retreat in the country where the demos brimmed with so much energy that they were brought into the final mix. There's Summer Rave and Lights on the Chrome – both odes to Sydney that swim in blissful hedonism – and slow jams too: the sweet, sad longing of Goldfish, and the floating, spacious Find Me In The Water, written by Al's brother Doug, of Fishing. Cloud Control have always been defined by happy chaos, ever since they formed on a whim for a 2005 university band competition. (They had never played together before; they won the next year.) The uncalculated nature of their formation forms the backbone of their sound as well; collaborating on each track, their songs skip from genre to genre without ever feeling disjointed. “We're not trying to be any one thing, we're not trying to appeal to anyone in particular,” Ulrich says, and Heidi picks up where he leaves off: “We're just trying to make ourselves happy and imagining the kinds of songs we want to be playing live for the next while.” On this album they were freer with their direction and influences than ever before, and slowly but surely they found their balance as a trio, and rediscovered their zone. It wasn't always easy. Sydney is not as welcoming to bands as it used to be, and it's hard to find a space to write live, with a drum kit – so they called in favours, scrolled through Gumtree, and repurposed any room they could find into a studio. There were two writing stints at Bundanon writers' retreat; a place in Haymarket where they lost 3 guitars to a break-in; the derelict building they barricaded in Redfern, which – after more than a few unsavoury incidents – ended up getting condemned. After their eviction, the band moved into the headmaster's house of their Blue Mountains high school – and from there to a garage they rented from a fan, after a Facebook callout. But perhaps the most pivotal location was Charlotte's Bay in Forster: a beautiful spot for an AirBnb, but a house too small for three people to share. After four months, the tension that comes from such a prolonged process almost got the better of them. “Storms would sweep through that area regularly, the most insane storms. They would fog the whole house up with condensation, and then the cicadas would come,” Heidi says. “The weather, that natural torment, became a fitting backdrop to the process.” But they persevered, harnessing that energy to write the song that would deliver their mantra: Zone. In that, Zone represents the full record: the band at their rawest, most inventive and most evolved, but still unmistakably Cloud Control.